"What distinguishes this romance from a standard-issue beach read is its likable main character. . . Schneider's debut asks readers to consider how and where to draw the line between forgivable and inexcusable transgressions in those we love." Erin L. Schneider is a native of the Pacific Northwest, attended college in Honolulu, and--although Hawaiian--should never be allowed on a surfboard. With more than twenty years in corporate merchandising, she's now a full-time writer living in Seattle with her husband, Neal; their baby boy, Kellan; a rowdy German shepherd named Ronin; and two crazy cats, Ono and Poke. She's a member of both the Pacific Northwest Writers Association and SCBWI, and is also co-founder of the YA Buccaneers (yabuccaneers.com). 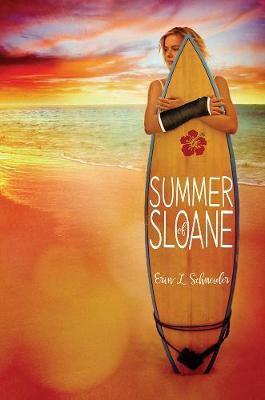 Summer of Sloane is her debut novel. Visit Erin online at erinlschneider.com or on Twitter @ErinLSchneider1.